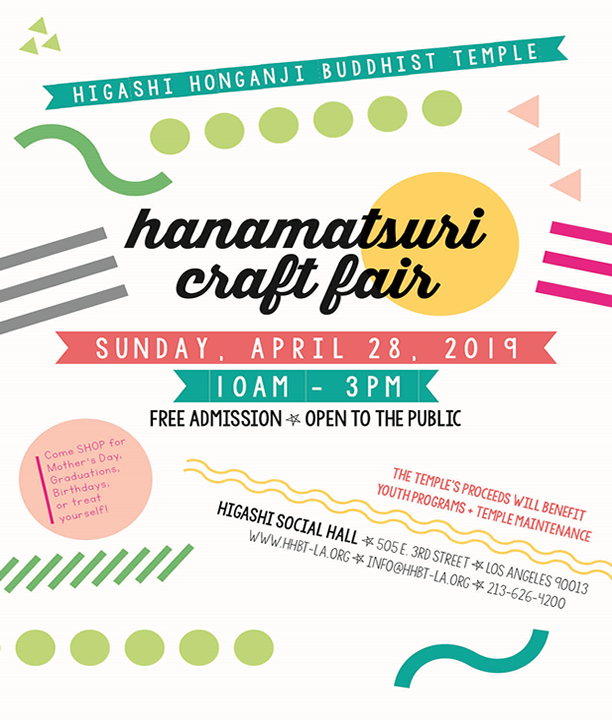 Description: Please come out and join us for the Hanamatsuri Craft Fair. Vendors will be selling various types of items, so please come out and check it out. If you’d like to take part in the fair as a vendor/seller, please download an application or contact the temple office. The event is open to the public, free of charge and will take place on Sunday, April 23 from 10:00am-3:00pm. Description: Please join us for the LABTF Hanamatsuri. Please refer to the information below. 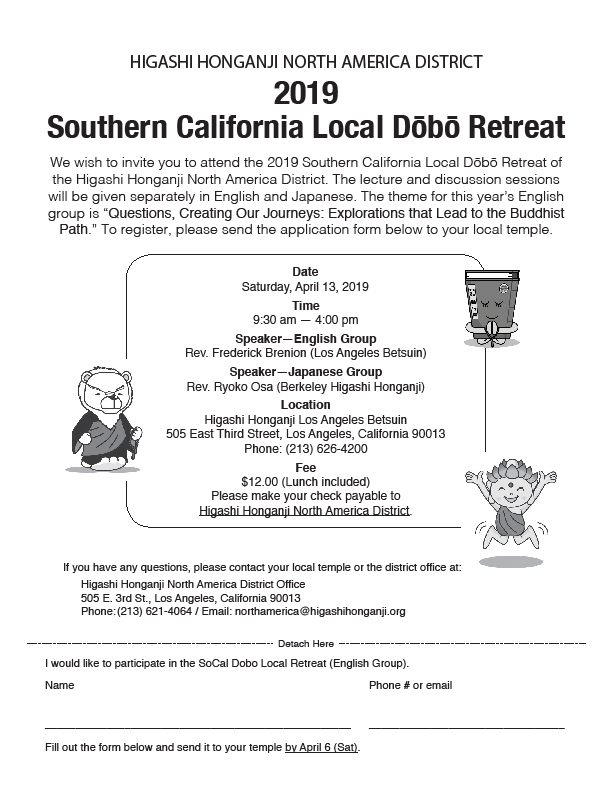 Description: Please join us for the NAD Local Retreat & will be held in English & Japanese. Please refer to the information below for details. 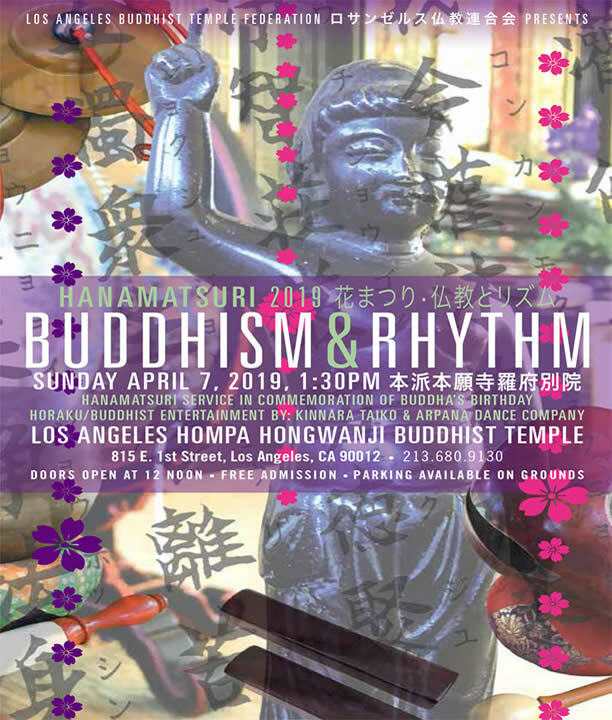 Description: Please join us for Hanamatsuri Family Service as we celebrate the birth of the Buddha. The historical birth of the Buddha is April 8. We hold the service to express our gratitude to the Buddha for his guidance and teachings throughout the year. Description: Please join us for Mother’s Day Family Service. We honor the mothers with a breakfast starting at 8:30am, followed by service at 10:00am. A special mother’s day message will be given by a member of the sangha, so please come join us.